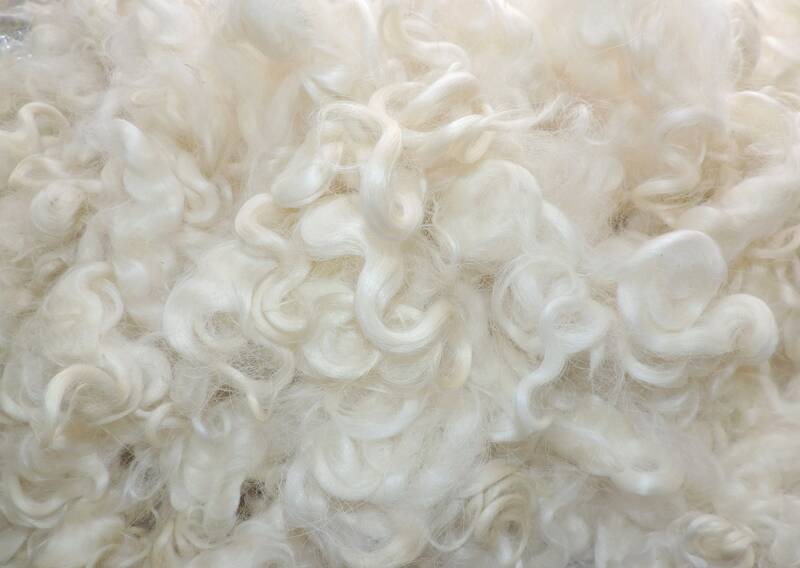 Lightly washed, undyed, natural white Lincoln Longwool fleece. 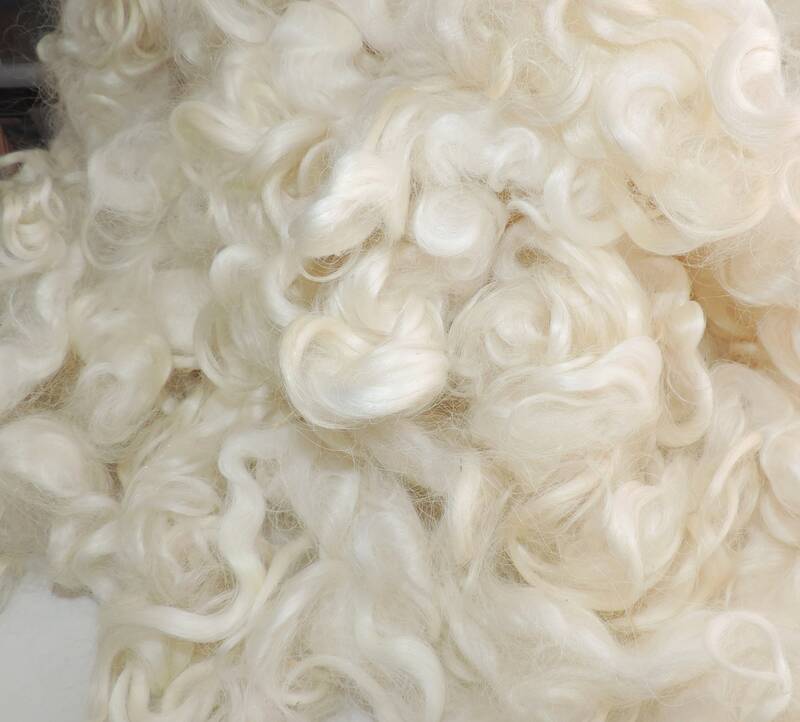 The nice thick locks are approximately 6-7 inches long. 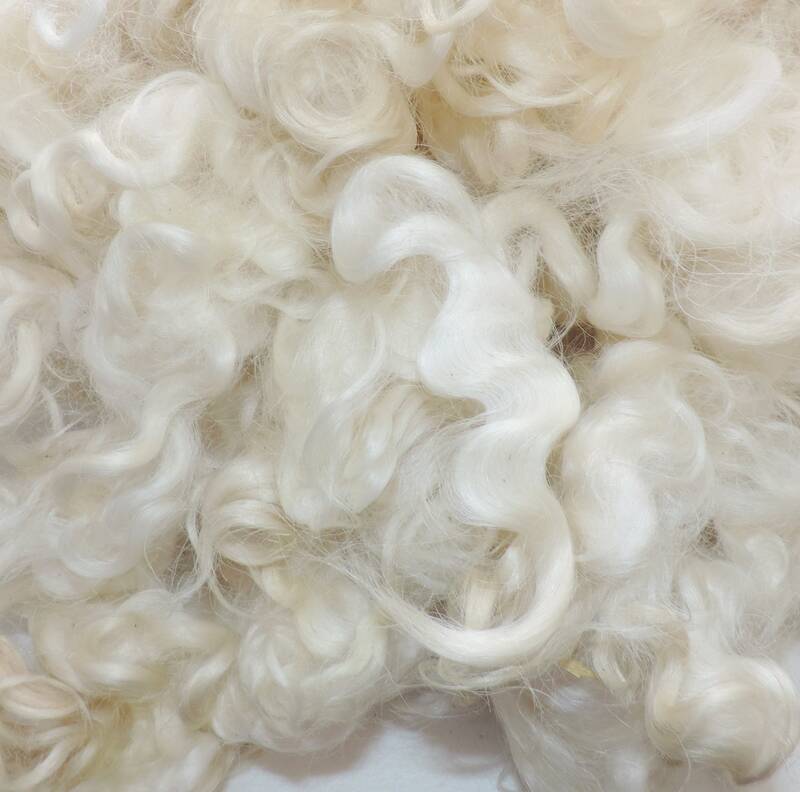 This fleece is very clean and there is very little VM in this fleece, but there may be a bit hidden in the locks. 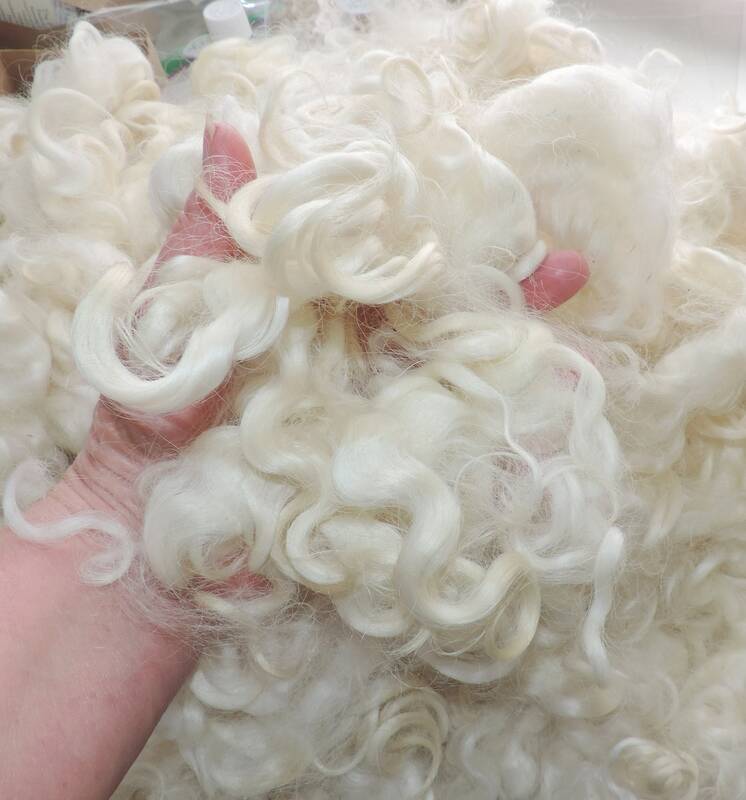 They can be used for dyeing, needle felting, nature scenes, landscape felting, doll hair, lockspinning, art batts, Santa beards, Gnomes, weaving, embellishments, spinning add-ins and more. Hand washed in my studio in the USA. Made great beards on my larger gnomes. Lived it! Nice product. Just what I expected.